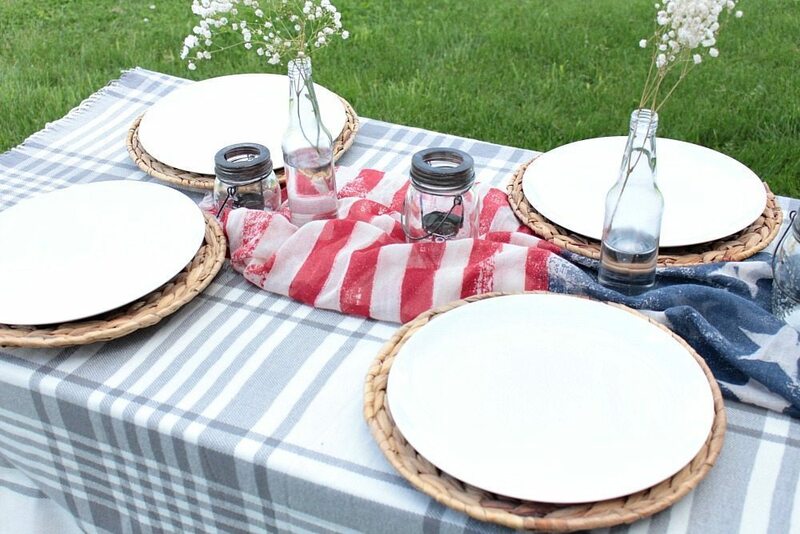 With Memorial Day at the end of this month and and Fourth of July just around the corner, I want to show you how it doesn’t take much to turn your ordinary picnic table into a festive retreat. 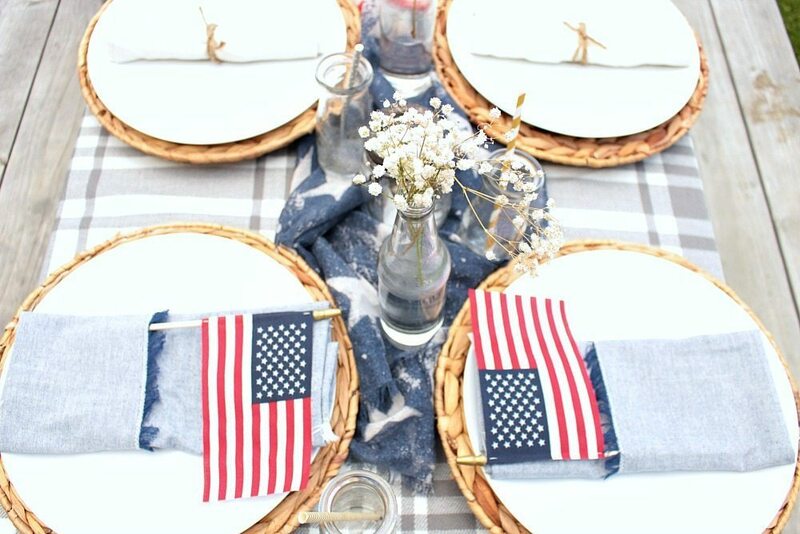 Here are a few ideas for patriotic table decorations on a budget! 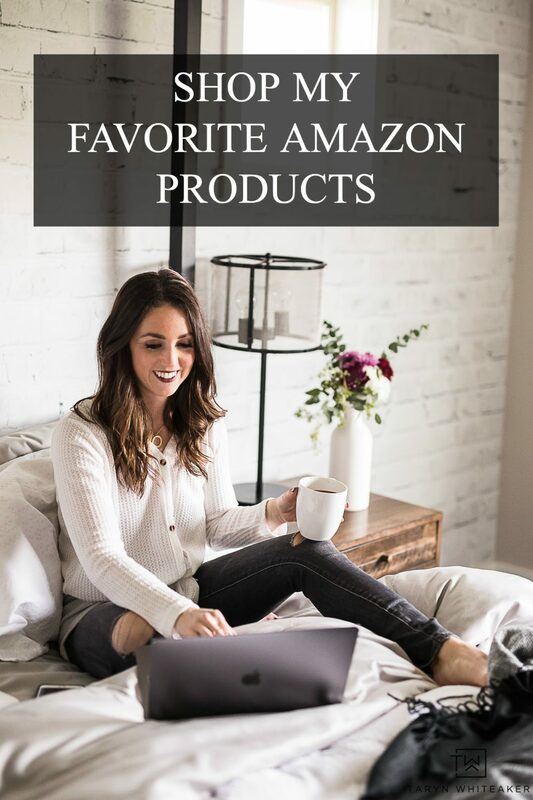 And the great news is, most of the time you can find these items in your home or at Target or even the Dollar Store. 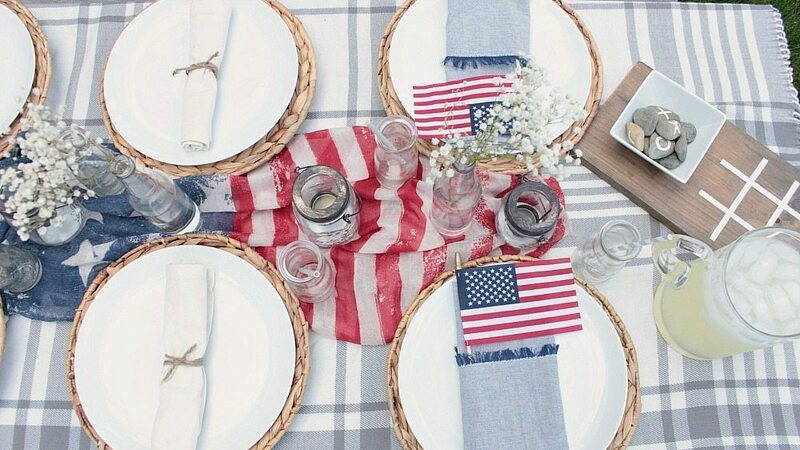 Here are a few tips on how to create a patriotic tablescape using things you may already have around your home or can easily found in the dollar section at your local store. 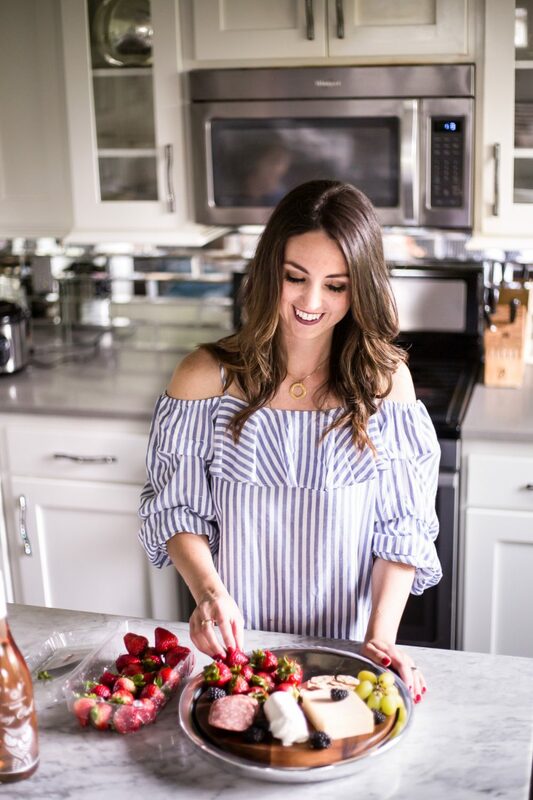 These tips can also work for any occasion! Start with a basic tablecloth that fits into the color scheme you are working with. 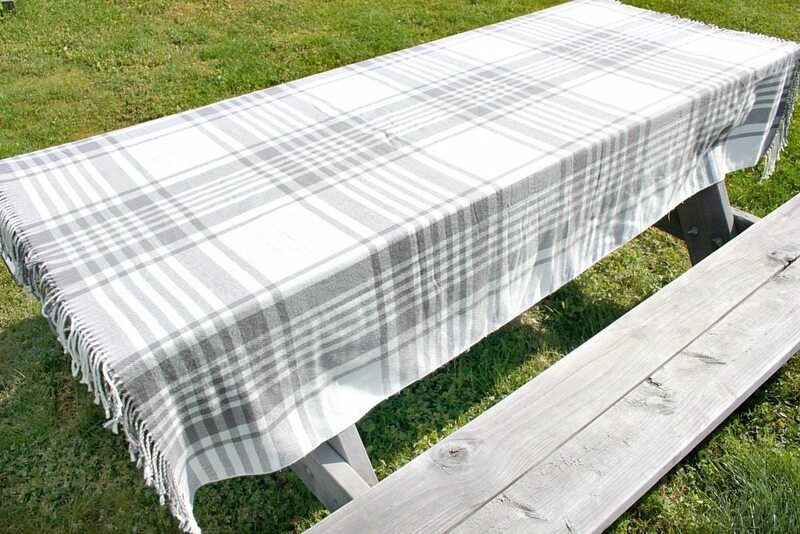 Or if you don’t have a tablecloth try using a throw blanket or a large piece of fabric! When creating an eye catching tablescape, it’s all about layering and adding dimension. For a centerpiece, try adding a scarf from your closet! Pick something that is complementary in color to your tablecloth. This is also a great time to try mixing patterns. 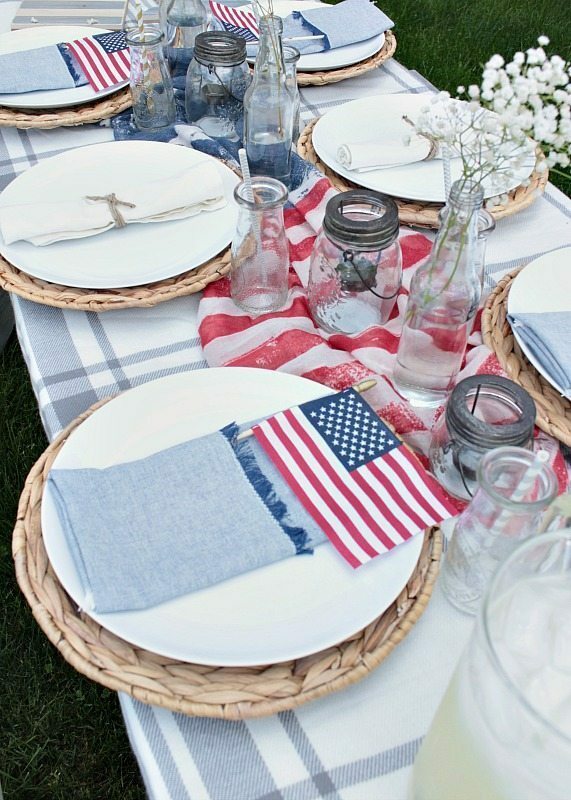 The plaid tablecloth and the patriotic scarf are different colors and patterns but also blend well together. Also, if you don’t have any vases to use, try recycling old bottles and turning them into simple flower arrangements. Wicker is a must-have for summer! These chargers add texture and dimension to the space and help the plates pop! Don’t be afraid to rummage through the dollar store or the clearance section at the grocery store! 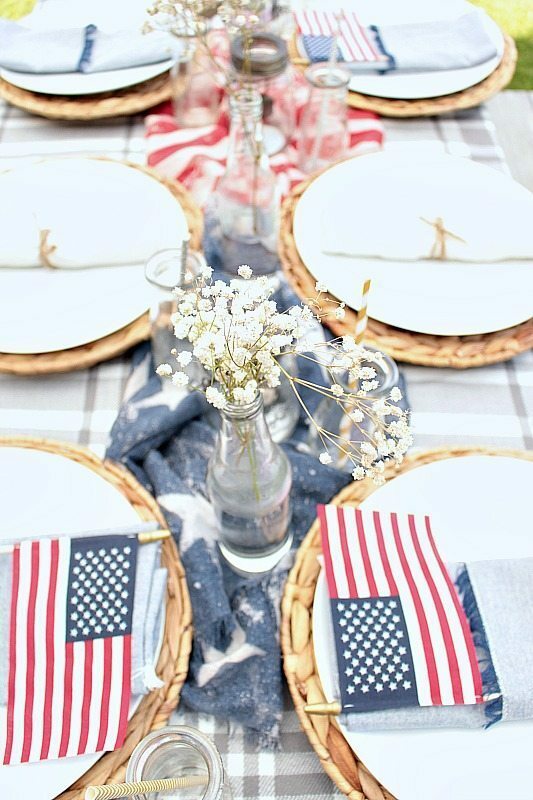 These little flags were very inexpensive and add a festive touch to the napkins. Not to mention entertainment for the kids! If you are worried about not having enough of the same color of napkins, don’t fret! Mixing and matching napkins is a great way to create conversation and keep the eye moving around the table. Everything doesn’t have to be matchy matchy, just complementary! Now it’s just about the details. 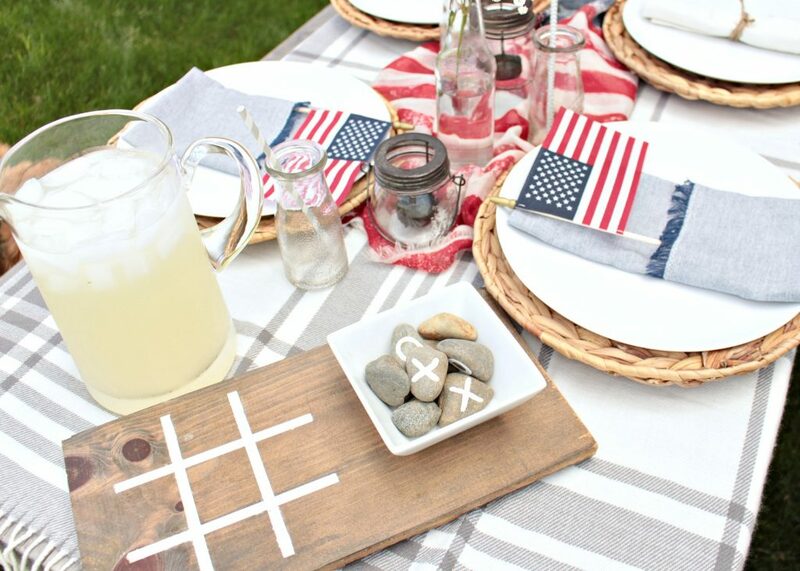 Fill in the rest of the table with fresh lemonade, a game or two for guests to play with and a few candles for when the sun goes down. You can see the tutorial for this DIY Tic Tac Toe Game! This post originally appeared on Angie’s List. I LOVE the scarf idea! I also love the milk glasses…. paper cups always blow away or get knocked over. 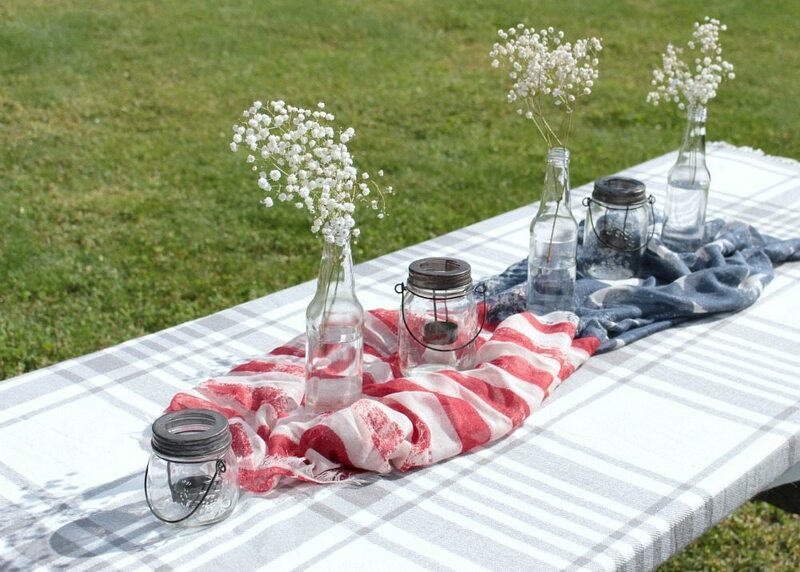 Love the mason jar tealight holders…could you share where I can find them? !